It’s the time of year when the weather gets colder, the leaves change color, and horror films bound across your cable channels each and every night leading up to the 31st. Horror films have us gripping the edge of our seats at the best of times, but never more so than during Halloween. In honor of this spooky holiday, we’re detouring into the particularly devious sub-genre of home invasion horror – films that play on our deepest fear of never feeling safe again even in our own houses. Two young, seemingly wholesome, boy-next-door types turn out to be psychopathic killers playing sadistic games on vacationing families. These games are played according to a strict and preordained set of rules that end with the deaths of their victims before a predetermined deadline. This film adds an artistic and sometimes literary twist as it utilizes the “breaking of the fourth wall” effect since the killers acknowledge an outside audience (us) and even “rewind” the action when one of their victims is perceived to be acting outside the rules of the game. A recently divorced mother, Meg Altman played by Jodie Foster, and diabetic daughter (Kristen Stewart) take refuge in a panic room built into their recently purchased Manhattan brownstone when three men break in to steal several million dollars’ worth of bonds. This story was inspired by the vast amount of news on panic rooms at the time and was praised for its portrayal of feminism and diabetes. In retrospect, Meg probably could have taken advantage of their high tech security system as the thieves broke into their house with incredible ease. You may never be comfortable attending a family reunion again after seeing this gem. A father, mother, adult children and their significant others all gather at a vacation home for the reunion, but find themselves being picked off one by one by attackers in animal face masks. While one of the guests, Erin, reveals serious survival skills, she somehow fails to utilize them to ensure the house’s security before the mayhem starts and only locks all doors and windows after the intruders have already infiltrated the place. This is likely the most chilling of the movies on this list due to its claim of being based on a true story. 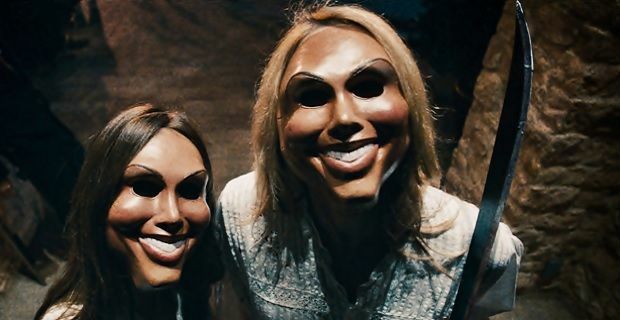 A couple return from a wedding to a remote vacation house in the middle of the night, only to be terrorized by three strangers in various masks throughout the remainder of the night. Again, much of their troubles could’ve been avoided with a little common sense and security, like locking the doors and windows and making sure cell phones are charged before they’re needed. Of course, if the victims did all of that, we wouldn’t have this movie to enjoy. A newly widowed and very pregnant woman is stalked and attacked by a deranged psychopath intent on taking the unborn baby for her own. Once again, although the attacker is first seen outside of the house, the soon-to-be mother apparently fails to lock her door before retiring for the night. Not only that, but now finding herself completely alone and about to give birth to a newborn, you’d think she would’ve considered taking extra precautions to help protect her from home intruders – particularly since the police in this film are portrayed as particularly inept as well. This is the only film on this list with a futuristic plot, telling of an America riddled with crime and unemployment. The government’s answer to this situation is to have an annual 12-hour period known as “The Purge,” during which all crime becomes legal. The film is as much psychological thriller as horror, with characters questioning their morality and humanity in a world temporarily devoid of consequences for crimes. It has spawned two sequels, with the third coming this summer. 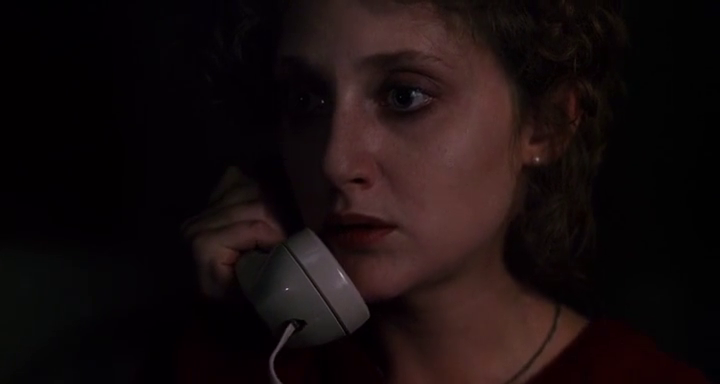 This classic urban-legend based story tells of a babysitter, Jill Johnson, being terrorized over the phone by a killer who is already inside the house and has murdered the children. Although it seems this was an isolated incident, we come back to Jill seven years later as she is once again receiving threatening phone calls from the same unknown stranger. Though with the caller ID we have today, it seems as though this premise would most likely be impossible. In the event you seek something more than simple hack and slash classics, take your fear factor to the next level with these home-invasion horror films. Just make sure you’ve locked all the doors and drawn all the drapes first.